Argo is a global array of more than 3,500 free-drifting profiling floats that measure the upper two thousand meters of the ocean. 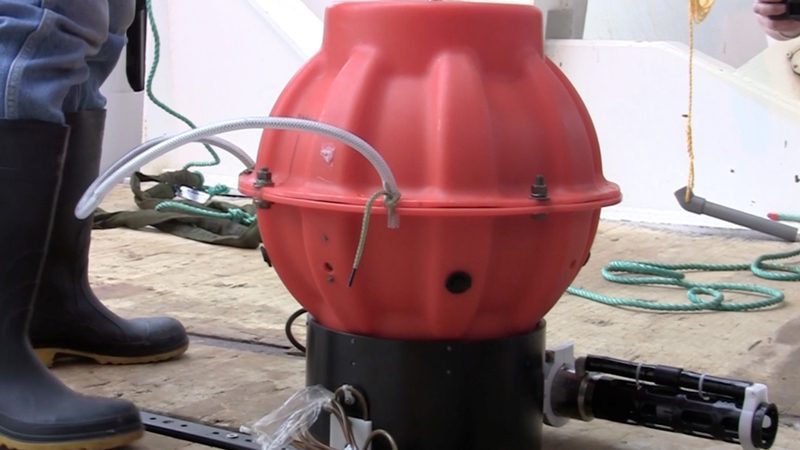 The Argo array allows continuous monitoring of the temperature, salinity, and velocity of the upper ocean, with all data being relayed and made publicly available within hours after collection. While the present Argo array provides observations of the upper ocean, this is only about one-half of the total oceanic volume. The need for a deep-ocean component of Argo has been recognized through support for instrumentation development and first pilot deployments. Deep Argo floats will profile the ocean from the surface to 6,000 below to give us an understanding of deep ocean temperature and salinity changes, something we know very little about and which is important to Earth's energy balance. Deep Argo will open our eyes to the unknown parts of the ocean. Deep Argo data will allow climate scientists to test and improve their models of long-term climate change.